Stadium Bags for the NFL Football Fans. Game Day in America comes with a dress code. Wearing the team colors is a given; however, there’s another rule to be followed when carrying your must-haves into the stadium – BE CLEAR. That’s as explanatory as it could get! 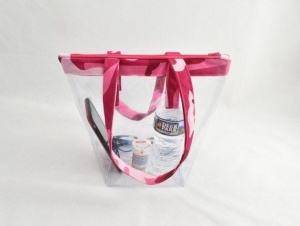 You can carry large tote bags (12” x 6” x 12”) made of see-through plastic, while small purses that measure up to 4.5” x 6.5” (roughly the size of a hand) is only allowed. Another alternative offered is the gallon-size Clear Ziploc Bag. Let’s agree on this: there’s no way we’ll ruin the game day carrying a freezer bag! 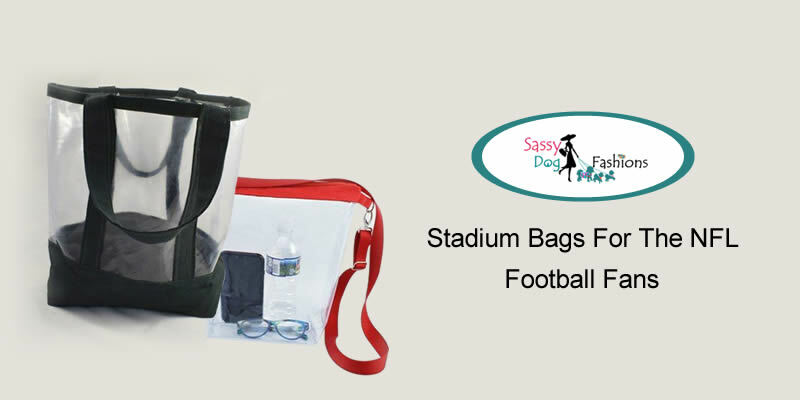 SassyDogFashions has made a round-up on NFL approved tote bags that you can proudly carry around while enjoying some game time with your homies. Cheer your heart out for the favorite team carrying this stylish tote bag with pink trim. 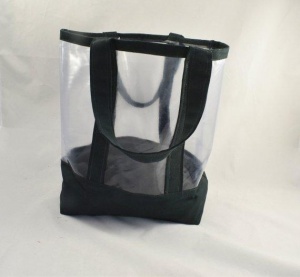 The bag is available in maximum size which is 12″W x 12″H x 6″D. Moreover, it is waterproof so no need to worry about spilled drink ruining your stuff in the bag anymore. The design meets all NFL, NCAA, and PGA tour security guidelines. Its V shape with flat and broad base offers maximum interior space. Also, the zipper closure makes this handmade bag secure for you. This classy vinyl red canvas crossbody bag will definitely complement your attire at the game. You can even choose a custom color for the trim to match your favorite NFL team. The design comes with adjustable straps and nickel hardware that will not tarnish. Added with Zipper closure, the bag offers durability and ensures the security of your precious items. 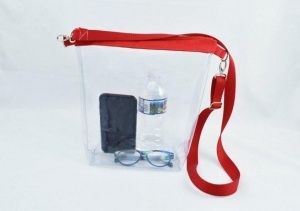 Designed for both men and women, the clear tote bag is NFL approved and can be worn not only at games, but also at sporting events, concerts, airports, and more. Made of heavy clear vinyl, you can see through the panels of the bag. Black heavy duty canvas trim makes the bag versatile to match everything. You could choose any color canvas. Match it with your favorite team or your outfit. Take it to the Gym! 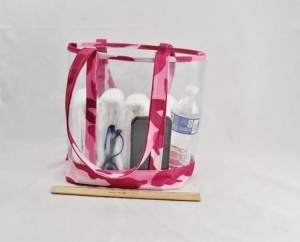 It is designed perfectly to carry all the essentials like water, cell phone, towel, and more. Unlike what you normally find at retailers like Walmart, this bag is 100% handmade using the finest supplies and exhibits an excellent work of craftsmanship. Buy Now! Handmade bags are always superior – just like this versatile design. Made with premium canvas and the finest supplies, this tote bag is a perfect example of excellent workmanship. The bag represents the largest dimensions allowable for the NFL Bag Policy. The width measures 6 inches at the sides and naturally goes to 8 inches in the middle of the tote bag if you stuff it. Straps can be worn on the shoulder or held in the hand. Head out to enjoy a game day with your family and friends! And do not forget to carry a tote bag while you live, laugh, and have fun all day long.